Name in English: Determining the beginning of the true dawn (Al-Fajr Al-Sadek) observationally by the naked eye in Jordan.observationally in Jordan. Name in English: The Problem of Isha and Fajer Prayer Time Calculations in High Latitude Areas, and Prayer Times for Muslim Astronauts. Author: Abdullah Almisnid and Abdullah Skaker. Name in English: Determining the Beginning of Fajer Prayer Time in Qassim Area Practically. Name in Arabic: تحديد وقت دخول صلاة الفجر عملياً بمنطقة القصيم. Name in English: Crescent Sighting During The Prophet Time Viruses Modern Time. Author: Abo Dawod Sulaiman Odeh. Name in English: Eid and Ddoha Times. Name in English: Sighting the Crescent by Observatories, and the Opinion if It Was Seen by Naked Eye but Not by Observatories. Name in English: Mecca Centralization and the Universal Timing. Name in English: Evaluate The Percentage of Error in Determining Dates of Holly Feast in Syria. Name in English: A Geodetic Study For Determining of Qibla Direction. Author: Hasan Hamad, Mansoor Ashkefah and Mohammad Al-Hashani. Name in English: Determination The Begining of The Lunar Months. Name in English: Lunar Month Determination Between Hadith and Modern Science. Name in English: Detairmening Qibla Direction in Fiqeh, Astronomy And Engineering. Name in English: Asr Prayer Time: A Critique of the Current Approach and A Suggestion of an Alternative Method. Name in English: Prayer Times at High Latitudes. Name in English: Crescent Sighting Using Uml Al Qura Calendar in Saudi Arabia to Determine Ramadan And Eid Ul Fitir of 1422 AH And Its Implications for Unity in Different Countries. Name in English: Salat / Fasting Time in Northern Regions. Name in English: Evaluation of The Error Percentage in Determining The Beginning of Lunar Months in Jordan (During The Past Half-Century). Name in English: Hejric-Gregorian Date Conversion. Name in English: Universal Hejric Calendar (UHC). Name in English: Lunar Crescent Sighting Versus Astronomical Calculations. Name in English: The Difference Between The Crescent And The New Moon. Name in English: Geocentric Moon Phases Viruses Topocentric Moon Phases (Conjunction Times for Mecca ). Name in English: Astronomical and Juristic Problems Regarding Prayer Times. Name in English: How to Ensure the Accuracy of Salat Times in the Calendars. Author: Nidhal Guessoum and Karim Meziane. Name in English: New Astronomical Method to Calculate Prayer and Fasting Times Whenever the Solar Sign Disappears: From Latitude 48.5 to the Pole. Name in English: The Crescent: Visibility versus Calculations. Name in English: The Beginning of Asr Prayer Time, from Approximate to Definite. Name in English: Crescent Sighting in Islamic Heritage. Name in English: Which Hilaal to Follow ? Reasons for Islamic Dates Confusion And Their Solution. Author: Sofian Bin Masood Sinyan. Name in English: Determining the Values of Rumhain and Rumh. Name in English: Determination the Legal Noontime and the First Time of Noon Prayer. Name in English: Isra and Mi'raj: The Miracle of Miracles (Readings from History,Physics and Astronomy). Name in English: Star names of Arabic etymology in the northern sky. Name in English: Hejri Calendar & Lunar First Visibility: Physical Approach. Name in English: Sun Apparent Motion and Salat Times. Name in English: Explaining and Calculating The Length of The New Crescent Moon. Name in English: A Simplified Crescent Visibility Criterion. Name in English: Impact of Atmospheric Refraction on Asr Time. Name in English: Crescent Observation And The Visibility of The Hilaal. Name in English: How accurate are the computed timings for sunrise and sunset? Name in Arabic: مدى دقة حساب موعد الشروق والغروب. Name in English: A Selective Literature Review of Young Moon Crescent Visibility Studies. Author: Bernard Yallop and C.Y. Hohenkerk. Name in English: A note on sunrise, sunset and twilight times and on the illumination conditions during twilight. Name in English: A Method for Predicting the First Sighting of The New Crescent Moon. Name in English: Visibility of The Lunar Crescent. Name in English: Length of The Lunar Crescent. Name in English: The Length of The Lunar Month. Author: Bradley Schaefer, Imad Ahmad and LeRoy Doggett. Name in English: Records for Young Moon Sightings. Author: Bradley Schaefer and LeRoy Doggett. Name in English: Lunar Crescent Visibility. Name in English: A Universal Islamic Calendar. Name in English: An Aircraft Equipment for New Lunar Crescent Observations. Name in English: Moonset Lag with Arc of Light Predicts Crescent Visibility. Author: John Caldwell and David Laney. Name in English: First Visibility of The Lunar Crescent. Author: Louay Fatoohi, F. Richard Stephenson and Sheta Al-Dargazelli. Name in English: Tracing the Shadow: Mathematical Calculation of Prayer Times Using Spherical Trigonometry. Name in English: Evaluation of Kalid Shawkat's Method For Salat Time. Name in English: Orientation Specification For Mosques. Name in English: Jurisprudence of Qibla. Name in English: Lunar Crescent Visibility Criterion and Islamic Calendar. Name in English: New Criterion For Lunar Crescent Visibility. Author: Muhammad Hafiz and Aamer Akmal. Name in English: Justification for Using The Universal Hejric Calendar (UHC) for The Determination of Correct Islamic Dates And Reduction of Takalluf (Burden) from A Shariah perspective. Name in English:Computational Astronomy and the Earliest Visibility of Lunar Crescent. Name in English: Visibility of the Thin Lunar Crescent: The Sociology of an Astronomical Problem (A Case Study). Name in English: The first sight of the Crescent on earth according to Yallop, SAAO and Odeh Criteria, and the introduction of the Hijri Date Line as the Sunset Terminator Line of the opposite point of Mecca from its latitude. Name in English: The Use of Technology to Live Webcast the Crescent Moon Observations. Name in English: On The Crescent’s Visibility. 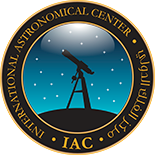 Name in English: Laser Assisted Crescent Observations. Name in English: Calendar Conversion Program Used To Analyze Early History of Islam. Author: Flight crew and others. Name in English: Airborne Observations of an Asteroid Entry for High Fidelity Modeling: Space Debris Object WT1190F. Author: Peter Jenniskens, Mohammad Odeh, et al.